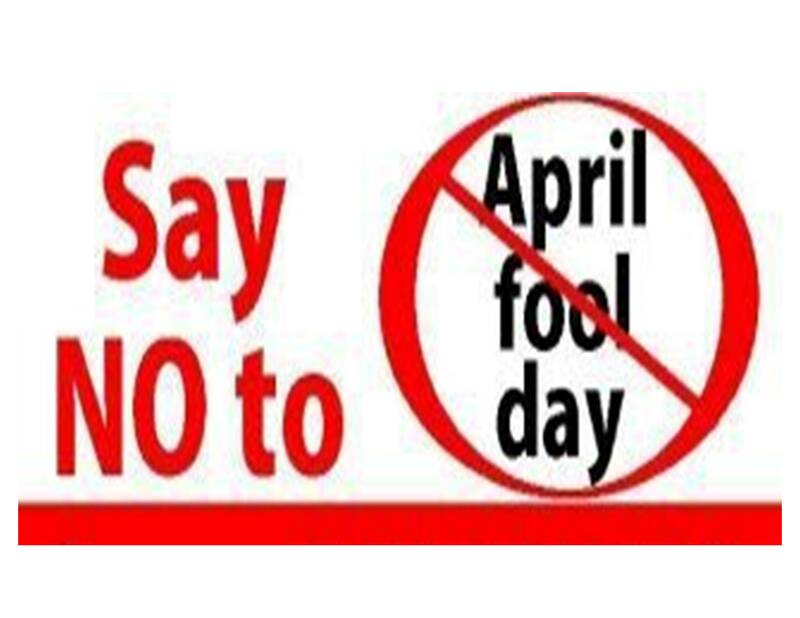 April Fools Day — Do you know why the first day of April is called “April Fools Day?” It was set aside to ridicule those who were still celebrating the new year in March/April long after Ancient Roman law makers decreed to make January the first month of the year instead! The people that refused to acknowledge the “new” date of the new year came to be known as “April Fools.” The custom of fooling and playing cruel jokes on friends and relatives on that day became popular and spread throughout the European continent. This custom is still alive and well today, especially in America! Despite the insistance of modern society to the contrary, March/April is still according to the Most High, the beginning of the year! YHWH doesn’t change — the month of March/April which He named ABIB is still thebeginning of the year! Upcoming New Year / New Moon! Praise Yah! The New Year is almost here – March 29, 2014, at even begins the Hebrew New Year. Biblical history shows that the Most High YHWH designated the first month and beginning of the year to take place in the spring in the month of Abib, not in the dead of winter in January. According to the Holy Bible, the first month of the year, is named Abib. 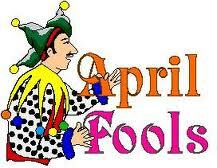 This month falls between the months presently known as March and April. The fact that the beginning of the year started in the spring was well known throughout the world up until the peak of the ancient Roman Empire. During that time, Emperor Julius Caesar declared that a total change in the calendar system be made. This calendar system went from a lunar based system that used the moon’s phases to determine time to a solar or sun based system. This new calendar, called the Julian calendar, later updated again to the Gregorian calendar, also moved the date of the beginning of the year from the spring to the winter. Tags: Hebrew Israelite, NCCI | Permalink. Green for St. Patrick’s Day??? March, is named for the Roman god of war, Mars. This month is known for the pagan holiday of St. Patrick. On St. Patrick’s Day everyone, is promoted to wear green and “be Irish”, but what is the underlying meaning? The wearing the color green was believed in centuries past, to please the Irish earth goddess so that she would “bless” her worshippers with plentiful crops. As far as the use of the shamrock, this too is a relic from earlier religions. Long before the Irish accepted Christianity, they held the shamrock as sacred. In “The Women’s Encyclopedia of Myths and Secrets”, B. Walker referenced the shamrock, “Due to its green color and overall shape, many viewed it as representing rebirth and eternal life. Three was a sacred number in the pagan religion and there were a number of “Triple Goddesses” in ancient Ireland…”. Later when Christianity was brought to that part of Europe, the same shamrock symbol continued to be honored and held as sacred, only at that time, it was said that the shamrock represented not the old pagan religion, but the pagan Trinity doctrine instead. The meaning of the pagan symbol was simply redefined for reuse in Christianity. So wearing green and shamrocks on “Saint” Patrick’s Day doesn’t promote nationwide camaraderie, it simply honors pagan rituals and deities. Tags: NCCI, pagan holidays, St. Patrick's Day | Permalink. 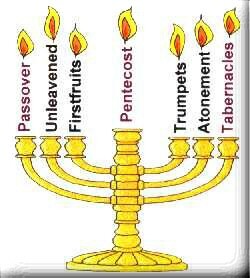 Feast of Unleavened Bread came the day after Passover and for seven days, no leaven could be eaten or found in any of the Israelite houses [Lev. 23:6-8; I Cor. 11:23-26; 5:6-8; 2 Cor. 7:1; Gal. 5:7-9]. The leaven symbolized sin which one was to be purged from during this feast [I Cor. 5:6-8]. The first and seventh day are Sabbaths, meaning no work is to be done. In the New Testament, the Messiah laid in the tomb during this feast of the Jews. It was this Sabbath which happened to fall on a regular weekly Sabbath, that after preparing spices to anoint His body, Mary and the other women rested and waited until the next morning to go to prepare the body [Lk. 23:50-56]. Feast of First Fruits is celebrated on the 16th day of Abib (1st Hebrew month). On this day Jews were commanded to bring the first fruits of all their increase unto YHWH [Lev. 23:9-14]. In the New Testament, according to the Law, the Messiah became the “First Fruit” among many bretheren that would be resurrected or quickened to become the Sons of YHWH [I Cor. 15:23; I Thes. 4:13-18]. When Mary and the women who were with her returned to the sepulcher, instead of the body of Yahshua, [the Messiah] they found an angel who informed them that He had risen from the dead! [Lk. 24:1-8]. Tags: First Fruits, Unleavened Bread | Permalink.